This outing has Conti performing with an all star rhythm section including: Mike Wofford, Piano; Herman Riley, Saxophones; Jim Plank, Drums; John B. Williams, Bass; As evident when listening to this album, each musician made marked contributions. Conti was especially taken by Mike Wofford’s superb rendition of “In Memory Of” a solo piece written by Conti, who states: “Mike Wofford epitomizes the term “Master Musician” His exquisite interpretation and performance of that piece of music brought me to tears. When I heard the playback, it was almost a spiritual experience – he played every lilting nuance as if he was in my thoughts when I wrote the music! It was the high point of that recording session! Note: One week before The Jazz Quintet was recorded in Los Angeles March,1981, Robert Conti also appeared as a guest soloist on Gerald Wilson’s “Lomelin, The Orchestra Of The Eighties” which featured an all-star lineup of West coast jazz musicians. We saved the best for last. This is, quite simply, one of the best jazz albums to come along in a long, long time. As annotator Pete Welding notes, “…Conti has fully arrived.” Those who have caught guitarist Conti’s rare public appearances in this area are aware of his prodigious skills. The man is a monster player, with a seemingly never-ending flood of inventive musical ideas and a technique that is dazzling. In a live performance, however, the music roars by and is gone. Captured in “The Jazz Quintet,” Conti’s abilities can be savored in replaying, studied for their brilliance and be better appreciated. A pleasant surprise here is Conti’s impressive compositional skills. He wrote and arranged the seven tunes included on the disc. They range from a hell-bent-for- leather blazer titled “String Fever” to a floating and anguished ballad of the Strayhorn variety (“Chelsea Bridge,” “Lush Life,” etc.) titled “The Agony Of Ecstasy.” “Rotation” employs the familiar chord structure of “Cherokee” (a Conti favorite), taken at a tempo that only the gifted would attempt. “the Street Life Of South Philadelphia” (Conti’s home turf) is a very catch melody in 6/4 time that reminds, at times, of Miles Davis’ “All Blue.” A long and lovely ballad titled “The World Today” contrasts with a funky romper called “Hollywood and Sunset.” The eminently talented Mike Wofford is on piano (he solos on a lovely ballad entitled, “In Memory Of”), and Herman Riley is heard on soprano, alto and tenor sax and flute. John B. Williams is the dependable bassist and Jim Plank handles percussion duties. Joe Pass, Pat Metheny – whoever, look out. Robert Conti has arrived — and he’s ready. Robert Conti is awesome! 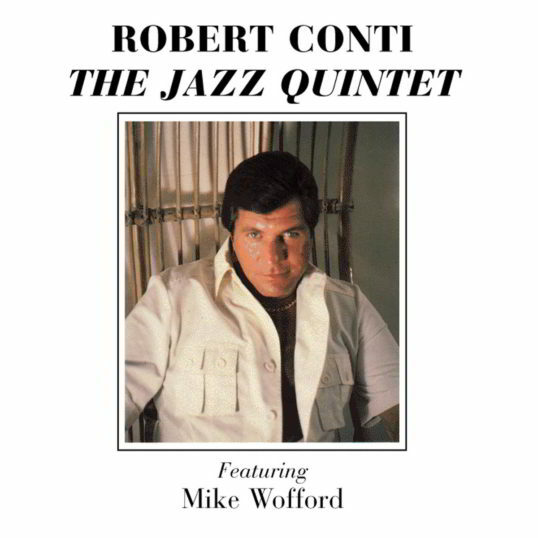 His debut jazz recording “The Robert Conti Quintet Featuring Mike Wofford” is as viable today as it was when it was released in 1980. 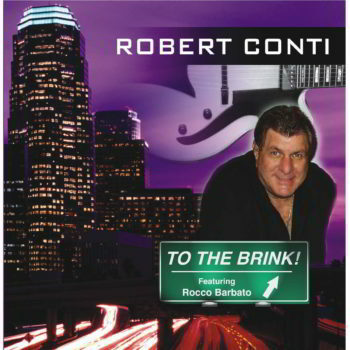 The first tune “Rotation” is an up tempo swing tune that Conti eats alive with his blistering single note lines. “The Agony Of Ecstasy” is a ballad with Herman Riley on Soprano saxophone playing the haunting melody punctuated by string arrangements and subtle comping by Wofford and Conti. Conti adds some nice chord soloing and some single note material. “Hollywood and Sunset” is a medium swing tune with another great Conti solo representing a Philadelphia guitar sound started by Pat Martino. “In Memory Of” is a song Conti wrote after the passing of his father in 1979. Conti lets Wofford take over and play this wonderful ballad tune solo with a gentle touch. “The Street Life Of South Philadelphia” is a 6/8 grooving tune with a vamping section followed by a turnaround for the form. Conti shines on this original from the period. “The World Today” is another soulful ballad penned by Conti. He takes a great extended solo with much attention to taste. Conti also shows his chops soloing with octaves. “String Fever” is an up tempo rhythm changes tune showcasing Conti talent on the timeless jazz form. I’m getting all three of your CDs… are you ever gonna put Laura on CD?